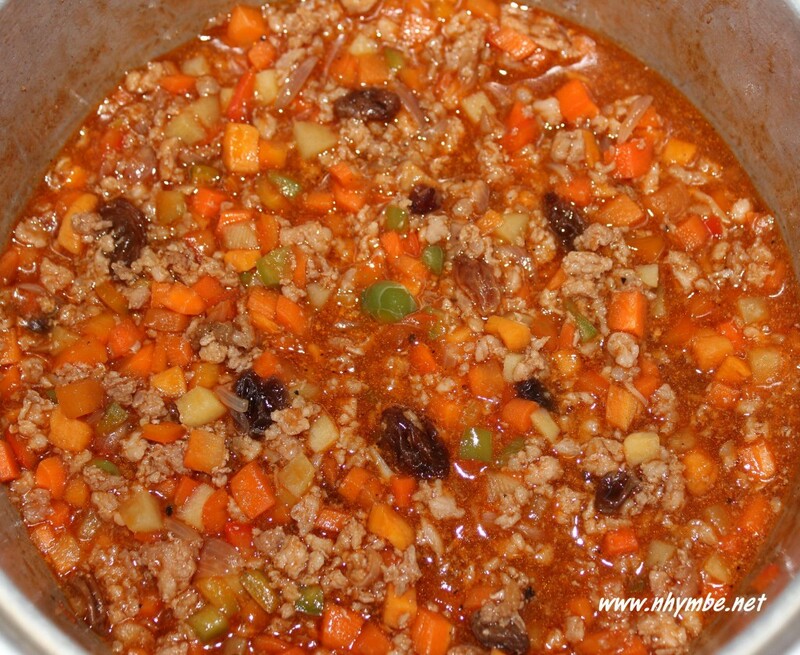 Ground meat menudo (ground meat can be beef or pork or a combination of the two) is one of the dishes in my quick recipe list. Quick recipes because these are recipes that are so quick and easy to prepare and cook without sacrificing the taste and nutrition of the food we eat. There are lazy days, or rush days or hungry days that we want to cook and then eat as fast as possible. Some recipes that are part in my quick list are stir fried vegetables, stir fried squid, fried and battered dishes, egg or omelet dishes and the like. These are the dishes that are easy to prepare and cook. 1) Saute the garlic, followed by the onion and the ground meat. Add the patis and stir to blend the flavor. Let it simmer until the liquid is reduced. 2) Add the potatoes, carrots and raisins. Let it simmer for 3 minutes. 3) Add the bell pepper, tomato sauce, catsup and black pepper. Stir to blend well. Add also a pinch of salt and brown sugar if desired/necessary. 4) Let it simmer for 3-5 minutes. Ready to serve and garnish. Serve it with steamed rice.